Halfway down the eastern side of the Italian leg, Abruzzo confidently unfurls between the high Apennines and the blue Adriatic. This is a region of wild, majestic landscapes where modest-sized settlements sit surrounded by vast expanses of the natural world. Indeed, this is known as Italy’s ‘greenest region’ and a full third of Abruzzo’s land area is protected national parkland. is rock-bottom, which only adds to the overall sense of ease and peace that suffuses this place. Abruzzo might not have quite the historical significance, exquisite architecture or cultured air of Italian regions such as Tuscany or Umbria, and it might lack the slick modernity or romantic fantasticality of some of Italy’s northern regions, but it definitely has a raw, uncultivated beauty all its own. If you love wild and wholly unspoilt natural spaces, if you love kind and friendly people with a strong sense of community and an instinct for hospitality, then this is a part of Italy that’s likely to appeal to you very strongly. 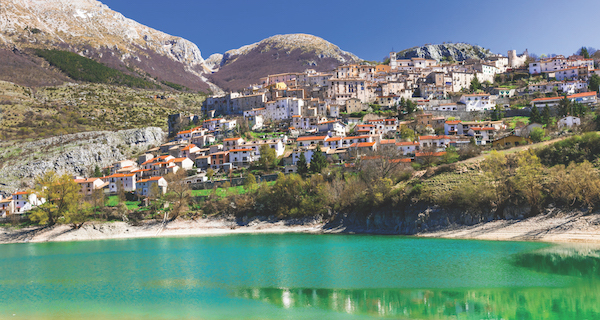 A lesser-known region in a well-visited country, Abruzzo offers a real sense of exploration and discovery. Among its other charms, Abruzzo offers lots of extremely good-value property. This is perhaps the single most affordable of all the central Italian regions, thanks in part to its very late arrival on the foreign-buyer scene, just before the international financial crisis of 2008 rather paralysed the whole buying-abroad shebang for several years. Today in Abruzzo, you might get a two-bedroom townhouse in a charming locale half an hour from the sea for just €35,000. Plenty of habitable homes are yours for the taking from €50,000. And from this price up to €100,000 there is a very wide choice of country properties. Buyers with a budget of between €150,000 and €200,000 would be able to buy themselves a large villa ready for immediate use. Prestigious seaside locations are always going to be at the higher end of the price scale, but the value for money on the coast is still very good. Clearly, Abruzzo is on the up right now, but where is a good area to focus your search for a home here? Let’s consider the long seaside, the hills behind it, and the high mountains in the west. of low buying price, short travel times, good amenities and, usually, great views of mountains in one direction and of the sparkling blue Adriatic in the other. don’t mind a much longer travel time from the airport to reach your rustic retreat, Abruzzo’s mountainous parts can certainly provide all the space, quiet, super-fresh air and inspiring vistas you might want. Note that the otherwise lovely stretch between L’Aquila and Sulmona is a seismic risk zone due to a network of geological fault-lines. Prices are very low across this narrow area, and if you choose to buy here, be absolutely certain that your property employs all the clever earthquake-proofing tricks and devices that are required by law. Other areas, and especially those nearer the sea, present very little seismic risk. 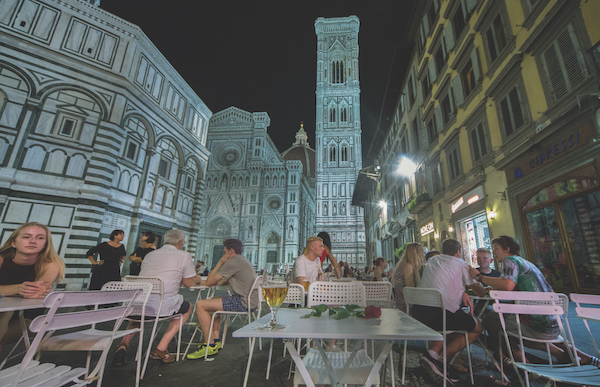 (But note that Italian law still requires quake-proofing to be in place in all the nation’s new and restored properties. Quite rightly, the national approach is: why take a risk when you don’t have to?) 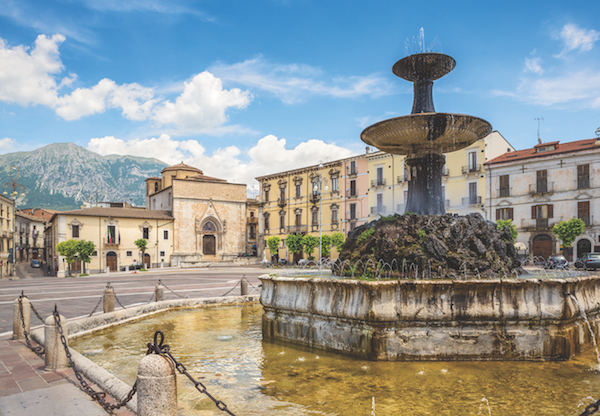 The Teramo province in Abruzzo’s northern coastal hinterland and the Chieti province in the southern coastal hinterland are both highly recommended areas with good value for money homes, good roads, attractive hilly scenery, and plenty of golden beaches within easy reach. The consensus view is that it’s a bit more expensive to restore an old building in Abruzzo right now than it is to buy one which has already been restored. That said, buyers who fall in love with an old tumbledown home with charming period features certainly shouldn’t discount the idea of restoring it. The satisfaction of restoring, plus having your ideal home as an end result, can make the overall cost worth it for many buyers. In Abruzzo, as elsewhere in Italy, the quality of building work and craftsmanship is usually very high. And what of holiday rental prospects? 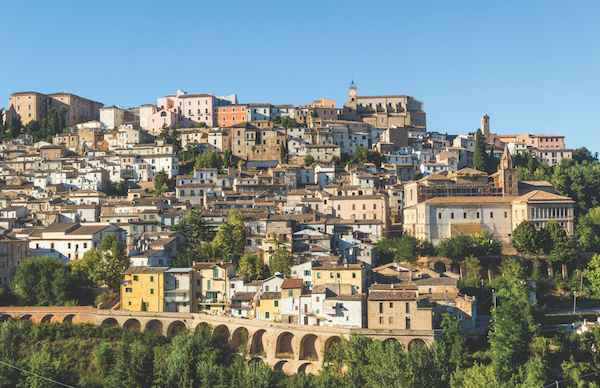 Might you be able to cover some of your costs by offering short lets on your home in Abruzzo? In a word, yes. 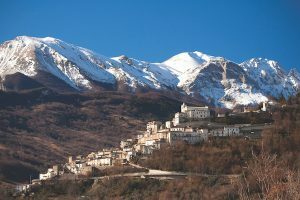 Abruzzo may be one of Italy’s lesser-known regions, but visitor interest in the place is definitely growing. 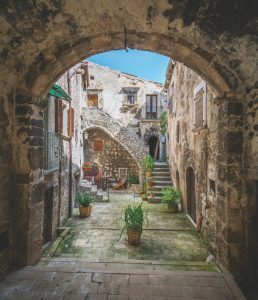 An increasing number of foreign owners are offering holiday lets on their Abruzzo home, and an increasing number of visitors to the region are enjoying such properties. As you might expect, the best summer holiday rental prospects are generally to be had on the coast, with the Pescara area and the beautiful tourist town of Vasto particularly strong. But houses in the hills rent very well too, especially if they have a tranquil location, a pool and a lovely view. Higher mountain areas will generally have fewer clients, although a wintertime ski market does exist. 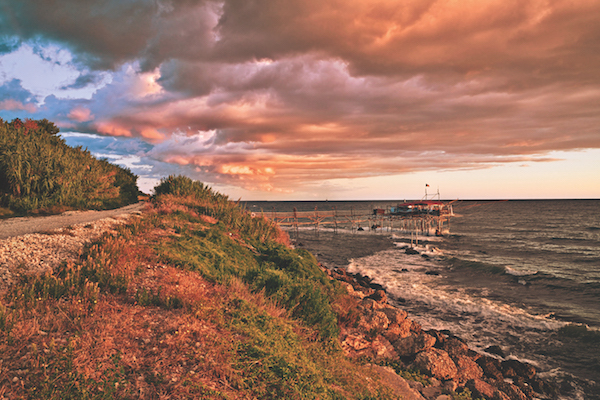 For a more detailed account of Abruzzo’s different areas, see our Regional Property Guide.